Being fired by one of my first clients taught me one of my hardest lessons: the importance of being able to accurately diagnose the disease before providing the cure. What I realized then was that even though SEO done well can increase traffic and ROI, if you do it poorly, it will negatively impact an online store’s organic search efforts, therefore conversions and revenue. For me as an outside consultant, that means getting fired. Search engine rankings change every day. The traffic you get to your site is being taken from someone else’s. It’s a competitive market –– with little clarity around the ever-changing rules. Google offers abstract, somewhat conflicting, and ultimately non-definitive information on how it ranks pages —- though many experts have accurately tested and hypothesized at what their top ranking factors might be. But if our site’s search ranking begins to tank, or aren’t taking off, it is incredibly important to properly diagnose the problem before heading looking for a fix. To do just that, I’ve developed an ecommerce SEO audit that I go through before performing any on-page or off-page work. 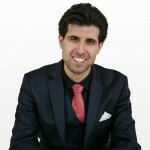 This will provide our first steps to improving search engine marketing. If search engine bots can’t find a page, then they can’t crawl it. If they can’t crawl a page, then they can’t index it. If they can’t index a page, then they definitely won’t be able to rank it. This is how I determine where my client is in their websites’ SEO efforts, and what obstacles they face. Let’s begin with the audit, we’ll go through 15 follow-up checklist for taking your ecommerce SEO strategy to the next level. 1. Can Google find your site? The first thing that I like to give Google is a map. Once an XML sitemap is created and I determine that it’s current –– AKA doesn’t include any errors –– I make sure the client’s domain is verified with Google Search Console. This lets me see exactly how Google sees the good, the bad, and the ugly of the domain that I am trying to rank. One of my favorite sections to focus on is the “Search Appearance” section within Google Search Console (formerly known as Google Webmaster Tools). This section provides insight into important search engine displays and their corresponding terminology: Title, Snippet, Sitelinks, Search within a site, URL, Event-Rich Snippet, Breadcrumbs, and Product Rich Snippet. This overview acts as a checklist when I’m working on a client’s site, ensuring they have inclusion within each possible element in Google. The second thing I look for is the implementation of structured data within their page. If the client is not using the schema.org vocabulary to tag elements on their page, then I recommend that they start immediately so Google can get more context behind the content and display it properly within their index. For example, by explicitly telling Google that you are writing a movie or restaurant review, Google will increase the chances of the bot indexing and ranking your pages for search terms related to that movie review. Note: Microdata is built-into BigCommerce themes, automatically structuring product pages for rich snippets in Google. One nice feature in Google Search Console is the ability to highlight elements on your page without any client side programming. Simply click on the start highlighting button, and you are on your way. Internal linking is another way to indicate the importance of pages to Google (and users). 2. Can Google crawl your site? From experience, I can tell you that Google is not very patient. The more technical issues your page has, the more detours it needs to take, and the more frustrated the bots become. This causes the bots to leave your page, negatively affecting your page’s ability to rank. Your home base for all-things technical — directly from the search giant itself — is Google Search Console (formerly known as Google Webmaster Tools to SEO old-timers). You can use Google’s Crawl Error report to get insight into the issues that prevent the Crawler from successfully crawling your site in the last 90 days. 3. Can Google index your site? Search engines are built around their ability to index pages. Google’s Index report provides a list of pages that Google indexed on your domain. If you publish content regularly — such as blog posts — and you notice a downward trend, then you know that you have a problem and you need to examine it further. Aside from the index status, one of the things I recommend that you monitor is the content keywords report under the “Google Index” section. This report will show you how your domain is being perceived in the eyes of Google. If you start noticing strange keywords appearing in this report, then it can be a clear signal that your website was hacked. Or, if you see non-content related keywords appearing (e.g. about, contact), then you may have some on-page SEO issues, which I will talk more about in the next section. 4. Can Google rank your site? The process of Google crawling and evaluating your website starts in step 2 (the crawl). This is when the Googlebot comes to your site, crawl your links, and indexes your pages. After the pages are indexed, the bots will start to determine the rank based on over 200 factors that can be grouped two ways: on page and off page. Despite hundreds of signals and evolving algorithms, SEO still comes down to one major consideration: keywords. This is the single biggest thing to keep in mind when it comes to on-page SEO. Finding relevant queries for your website is one of the most important boxes to check when you conduct your SEO audit. How many people search for a given keyword? If you’re stuck between two related keywords — say, “buy red shirt online” or “red shirt online store,” check the search volume for each. There are many tools you can use to grab search volume, but the old-fashioned, tried-and-true method is Google Keyword Planner. Sometimes users start by trying to find out what something is. They may have heard about your products from a friend and simply want to get information on it. This stage is often referred to as awareness. If you try to create a hard-selling landing page targeting an information query, it won’t match what users are looking for — and Google will likely pick up on that (meaning you won’t rank for it). If a keyword doesn’t having buyer intent, that’s ok! This is where content comes in, providing you the opportunity to educate searchers on your product. Content marketing is vitally important to capturing pre-purchase traffic and brand awareness. Online entrepreneur Kent Hamilton has nailed this strategy for his own brand, and will walk you through exactly how to triple traffic through content. You’ve identified keywords with search volume and determined the search intent behind them — but does it match your core offerings? One common SEO trap is to fall blindly in love with a high-volume keyword, when in reality it doesn’t relate all that much to what your business does. Or even more frequently, the keyword is simply too broad and competitive. All these factors are related and should be considered in unison. A brand new shoe store just isn’t going to rank for “Nike Shoes.” Even if you do everything right with SEO for your startup, your website simply doesn’t have enough authority for such a competitive query. And that’s OK.
You Have Keywords –– Now What? Keywords need to not just be included on your page, but they need to be in the right places. Title tag: This appears on the search engine results page and in your browser tab. product page SEO best practice are huge such as including your target keyword in the title tag. Meta description: This is not a ranking factor, but can have a massive impact on click through rate as it shows up in a Google query underneath your title tag. This is essentially your advertising to pull people in. H1: Every page should have one H1, or main header tag. HTML5 allows for multiple H1s, but that is a whole ‘nother story. Subheads (H2, H3, etc): Much like people appreciate subheads for scanning a document to get the gist of it, search engines lend credence to the sections of your page. By breaking a page up into sections with subhead tags, you’re essentially giving Google an outline of the page. And you want your outline to convey relevance for your target keyword. Think of your H1 and all subheads as the outline you are turning in to Google for review. From just that outline, would someone be able to understand what you are talking about? If not, edit those headers. Start with your most important pages, likely your homepage and top-5 category and product pages. Evaluate them against the checklist above and make sure each page targets a unique keyword. Because we don’t have a lot of insight into what exactly is going on when search engine bots are crawling your website and determining your rank based on these various factors, we can use tools like SEMRush to get more insight into both our own domain and our competitor’s. And many other on-page factors that can significantly impact your rank, crawl, and even index of your pages. This will give you a clear starting point for fixing errors on-page to rank higher. For example, by just addressing the duplicate title tag issue, you can clearly convey a unique purpose of every webpage — and improve your chances of ranking for important keywords in the process. Now that you’ve conducted your basic audit, it’s time to make sure all those elements have been executed to the max. Identifying duplicate title tags or keyword overlap is a crucial first step — but are they optimized properly? The following 15-point ecommerce SEO checklist will help you take a scalpel to your SEO strategy and identify the opportunities to significantly impact traffic. 1. Did you set up tracking and measurement tools? Implementing Google Analytics, Google Search Console and Bing Webmaster Tools on your site will allow you to monitor and measure organic search traffic and on-site engagement. Google Analytics provides the broader look at web traffic trends, and allows you to dig into organic search performance. Google Search Console and Bing Webmaster Tools allow you to identify errors, evaluate organic keyword and landing page performance, monitor backlinks, identify mobile friendliness issues, test structured data, submit your sitemap and keep an eye on other technical and structural items. Google Search Console provides data and insights on organic search appearance, search traffic, index status and crawl issues. 2. Have you selected keywords? Choosing the right keywords to place in pivotal site elements and throughout content is one of the most important things you can do to improve organic search performance. Choose keyword variations that have high search volume, lower competition and are directly relevant to your products and business. Use Google’s Keyword Planner tool to find relevant keywords, and learn what terms have high search volume and lower competition. 3. Does each page have a unique title? Every page should have a unique title that is 70 characters or less. For your homepage, product category pages and other static pages, use your top keywords to create unique page titles. Most ecommerce sites have hundreds if not thousands of products, making it difficult to write unique, keyword-rich titles. The most efficient way to handle product page titles is to use the product name as the page title. Use this tool from Moz to test how your title will appear in search results. 4. Does each page have a unique meta description? While meta descriptions don’t have a direct impact on your organic search position, they are instrumental in motivating users to click through to your website. Think of them as ad copy for your organic listings –– you want to ensure the description matches the content of the page, speaks to the searchers and contains a call to action. Every page on your site should have a unique meta description that is no more than 150 characters long. The homepage and product category pages should be written specifically to address that page’s content and messaging. Jeni’s Ice Creams has written unique meta descriptions for each of their category pages, describing the types of products users will find when they click through. For product pages, you can use the product description. Many ecommerce websites will use the exact description provided by the manufacturer to populate each product’s description. While this can be an efficient way to ensure each product contains content, it can lead to duplicate content issues. If you have hundreds or thousands of products, making it difficult to write unique descriptions for each, start first with your top selling products and those receiving the most organic traffic. Then chip away at the remaining product pages as time and resources allow. 5. Are you blocking unnecessary pages from being crawled? Some pages on your site don’t make for good landing pages for organic searchers. Checkout pages, thank you pages, wishlists and pages 2+ of site search results are some of these pages. You can tell the search engines not to crawl and index these pages by using a Robots.txt file. Add “disallow” directives to the Robots.txt file to indicate that these pages should not be crawled, and then upload that file to your server. 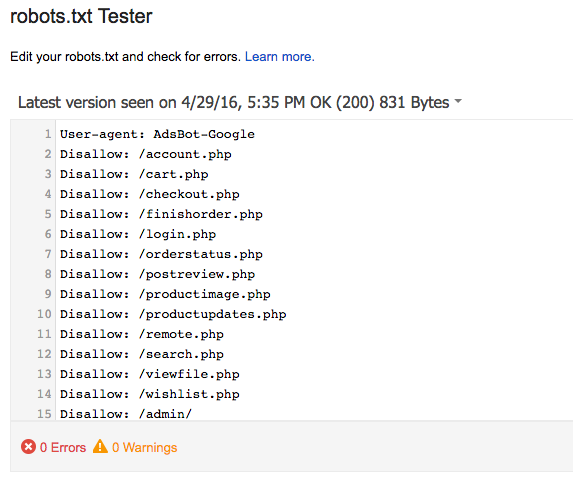 This is what a Robots.txt file looks like when tested through Google Search Console. Note the types of pages that are being blocked–account pages, cart and checkout pages, internal search results, wishlists and more. 6. Do your subpages contain breadcrumb navigation? Breadcrumb navigation is useful for both human visitors and search engine robots. It helps humans understand where they are within your site and allows them to easily navigate back to previous sub-categories pages. For search engines, it helps them to better understand site structure and related pages, and creates clean internal links. Chapstick includes breadcrumbs on all their subcategory pages. 7. Does your site have enough content? Write unique content for each category page describing the types of products the user will find within that category. Highlight any differentiating aspects of your products, and weave in your brand messaging to ensure a consistent experience across each page. Cetaphil includes unique copy on each product category and subcategory page. As mentioned previously in the meta descriptions section, it can be difficult to write unique copy for each and every product, especially when you have thousands of products on your site. Tackle product descriptions in the same manner as meta descriptions –– start first with the top sellers and highest organic traffic drivers, then work your way through the remaining products. Unique copy isn’t the only requirement if you want to grow sales through your product copy. Here is exactly how to write copy that converts. 8. How are you handling out of stock product pages? For merchants with continually fluctuating inventory, it’s common to have products and even product categories that are no longer in stock. When these products go away, so do the product pages. This is a missed opportunity to continue building age and authority, however. Keep these pages live and add a “temporary out of stock” notification if the product is likely to come back, a signup form to get notified when product is back and add links to related products or categories. If you do not plan to restock the product, you may consider redirecting the page to a similar product or related category. That way you’re keeping the value of the page, and still providing users a good experience. ModCloth keeps out of stock product pages live, and encourages users to let them know if they should bring the product back. BigCommerce customers can use InStockNotify to alert customers to out of stock items and allow them to add in an email address to get an update when the item comes back. 9. Are you creating content for informational keywords? Oftentimes a product page will rank for informational or educational type keywords (e.g., “how to set up wireless speakers” or “what shade is eggplant purple”), even when this exact phrase or information isn’t found on that page. This usually results in a high bounce rate because the searcher isn’t ready to buy yet. Without a clear way to find their answers, they leave immediately. One way to capture this traffic and provide useful information is to create content for these “how to” and question keywords. This content can live on a blog, or in a “resource” section, “Learning Center” or FAQ pages. Bright AgroTech has a large resource section with loads of instructional content to help their customers startup their own farming businesses. 10. Do your URLs contain relevant keywords? Including keywords in your URLs can help to improve organic visibility. This is especially important for category and subcategory pages. It’s also important for page URLs to follow the same structure. For example, the URL for a pair of women’s tennis shoes may be: www.example.com/womens/sneakers/high-performance-white-tennis-shoe. This helps to organize your site into neat categories for easier crawling and indexing, and can increase likelihood that your organic results will contain sitelinks. Wellbot’s well-organized site structure results in sitelinks within Google organic search. 11. Do you have reviews on product pages? Including reviews and ratings on your product pages not only helps customers make more informed purchase decisions, it also helps to increase the quantity of content on these pages and can allow for organic visibility on new keywords. Additionally, you can add product review schema, which may lead to star ratings being included in search results, creating a richer and more eye catching organic listing. Backcountry’s use of reviews and structured data has resulted in review snippets being added within their organic search listings. 12. How speedy is your site? The time it takes for your site to load is an important factor in user experience and search engine visibility. If your site takes a long time to load, users will likely leave and go find another site that provides them with a better and faster experience. Also, if the search engines note that your site loads slowly, they’re likely to think that the site is not high quality, and thus they may not give it the visibility you hope for. Test your site speed here, and make any necessary changes as noted from the test. 13. Is your site mobile friendly? Mobile SEO has quickly evolved from optional checkmark to mandatory requirement. Search engines reward sites that are mobile friendly, giving them a “Mobile Friendly” label on mobile search results and a boost in ranking over non-mobile-friendly competitors. Test how mobile friendly your site is here. 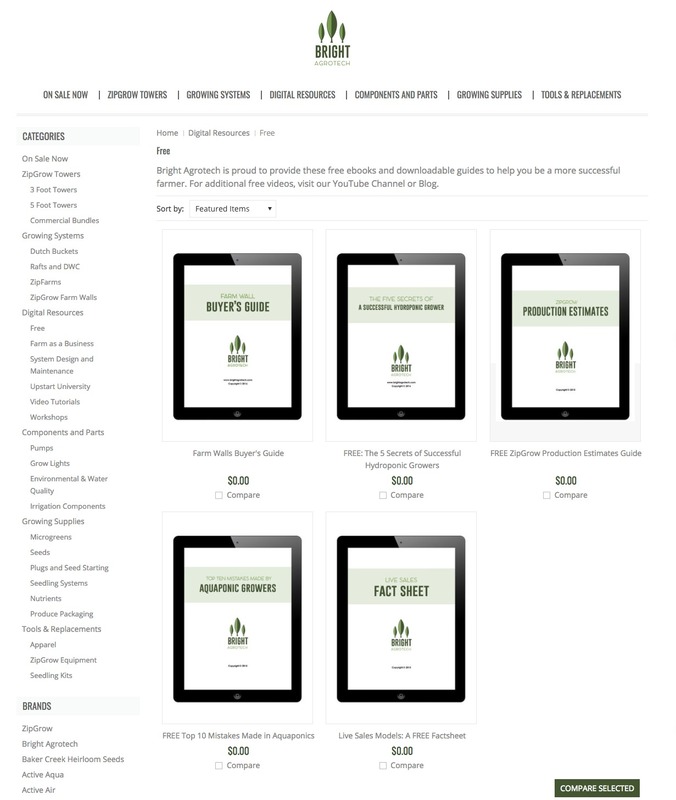 If your site is responsive (as all BigCommerce sites are), you should pass the test with flying colors. If you don’t fare as well, make any necessary changes as noted from the test results. 14. How are customers using your internal site search? Optimizing for internal search is just as important as optimizing for Google search. 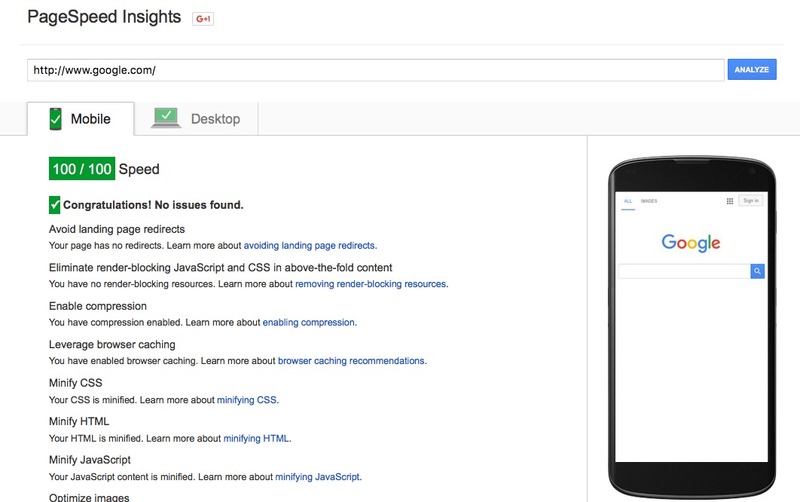 Track and analyze what terms customers are using on the search bar within your site. Note any misspellings, synonyms or abbreviations that may be causing errors in results or a poor experience. Fix any issues with search filters and usability to ensure users are finding the products they want in the quickest and easiest fashion. Use Google Analytics to understand how customers use internal search, what keywords are used and how they navigate the site after searching. 15. Have you added canonical tags for filtered pageviews? Most ecommerce sites allow you to filter product category pages or search results by size, price, rating, color, availability or other attributes. When a user filters results, a new page is often loaded with a parameter appended to the end of the URL (e.g., http://shopharveys.com/shop-all/?search_query=&page=1&limit=100&sort=featured&Color=Brown&category=45&is_category_page=1). To avoid duplicate content issues, you want to add canonical tags to these pages. The canonical tag tells search engines to attribute all page value to a primary URL. So in this example, all filtered views reference the main category page as the “canonical” page, ensuring that Google doesn’t find every variation and penalize you for duplicate content. In the example above, http://shopharveys.com/shop-all/ is the canonical page. Harvey’s placed a canoncial tag on http://shopharveys.com/shop-all/?search_query=&page=1&limit=100&sort=featured&Color=Brown&category=45&is_category_page=1 pointing to the category page as the main page. And there you have it — the only SEO checklist you need to quickly get a pulse check on your site’s health. In 40 minutes or less, you’ve determine if Google can crawl, indexed and rank your site. You also have a game plan for taking your audit to the next level by fully optimizing all your site’s content. I’ll leave it on this note: if you’re getting confused on which of 2 options might be better for SEO, just think about user experience. What makes sense from a user standpoint? When your actions answer that question, it will more often than not move the needle in the right direction for your organic search performance.